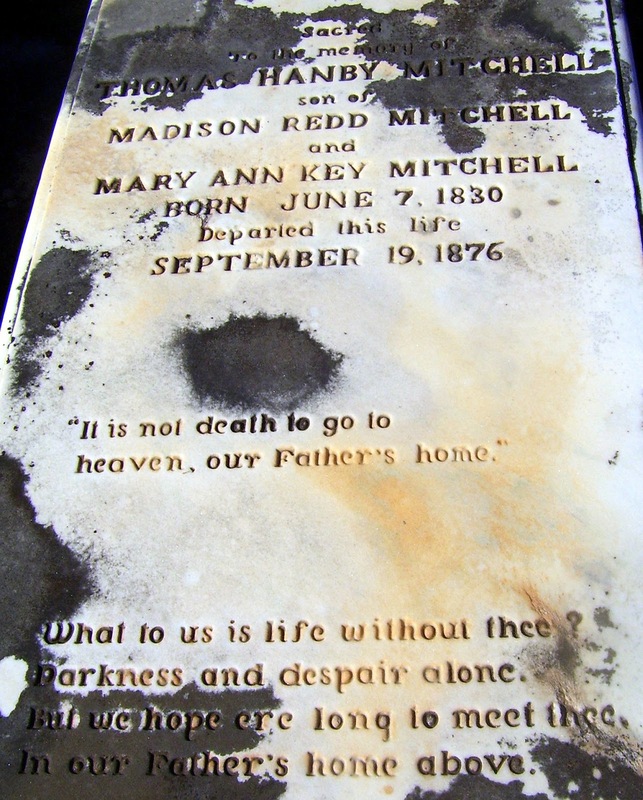 Sacred To the memory of Thomas Hanby Mitchell, Son of Madison Redd Mitchell and Mary Ann Key Mitchell, Born June 7, 1830, Departed this life September 19, 1876. "It is not death to go to heaven, our Father's home." What to us is life without thee? In our Father's home above. There are two more MITCHELLs buried nearby Thomas. One is Mrs. Caroline A. Mitchell, daughter of James Orr and Ann Anderson Orr (1814-1884). The other is Madison R. Mitchell (1799-1858). Caroline is approximately sixteen years Thomas' senior and approximately fifteen years Madison's junior, so I wasn't sure to whom she was married. 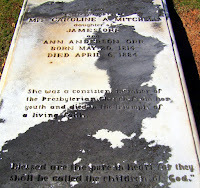 A little digging shows Caroline was married to Madison in 1841. 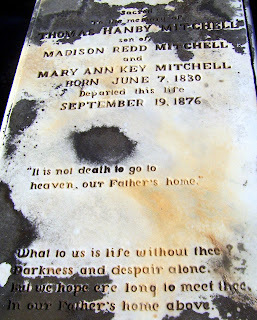 Mary Ann Key was Madison's first wife (and Thomas Hanby Mitchell's mother).